Marianas Variety – Nov 17, 2016 – MEMBERS of the Japanese Diet or parliament representing the Shizuoka Prefecture were on Saipan recently to look into the establishment of a Shizuoka Prefecture Memorial and to perform a shrine commemoration ceremony. The delegation was headed by the mayor of Hamamatsu Shizuoka, Japan, Yasutomo Suzuki. He and the members of parliament conducted a memorial ceremony on Saturday at Banzai Cliff and the Last Command Post in Marpi. Gov. Ralph Torres, Lt. Gov. Victor Hocog and some CNMI lawmakers witnessed the event. 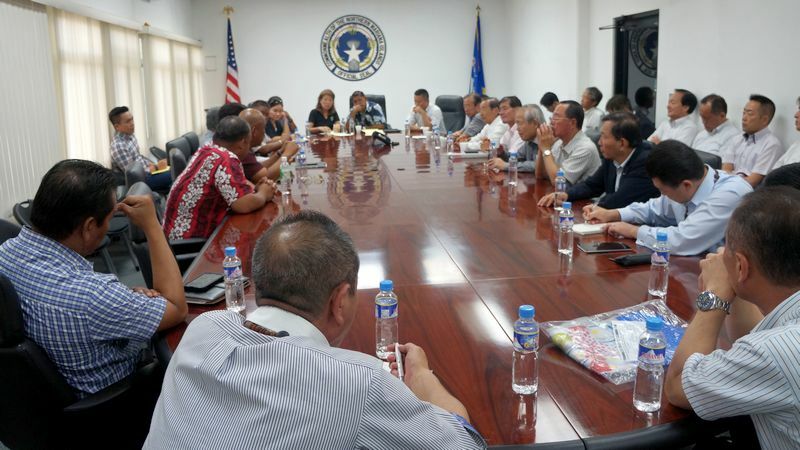 While here, the Japanese delegation met with Marianas Visitors Authority officials and was accompanied by acting MVA Managing Director Judy C. Torres during a courtesy visit to the governor’s office on Monday. During a meeting acting Gov. Victor Hocog and some members of the CNMI Legislature exchanged ideas and information with the visitors regarding local infrastructure, healthcare, tourism, agriculture and sports. They also discussed the historical relationship between Japan and the NMI and how to further strengthen their ties. Hocog said the administration is looking forward to continuing the dialogue with Japanese members of parliament. Rep. John Paul Sablan said they had a good discussion, including“how we can improve our transportation, tourism industry and the hospital and how they can help us,” he added. The NMI, Palau, the Marshall Islands and what is now known as the FSM were administered by Japan from 1914 to 1944.